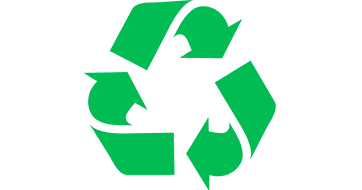 Renfrewshire Council is urging people to waste less and recycle more in 2018, paving the way for upcoming changes to the area’s waste collection services later in the year. “Renfrewshire has five household waste recycling centres located at Erskine, Johnstone, Linwood, Paisley and Renfrew,” Councillor Don said. “I encourage residents with extra waste accumulated over their Christmas and New Year’s festivities to take their recycling to one of them. Leftover Christmas items from wrapping paper to cardboard gift boxes are among the items that can be reused or recycled in your bins. “Christmas gave us all an opportunity to get on board with recycling – from Christmas cards to trees and mince pie trays,” Councillor Don said. “The amount of paper and cardboard produced in the UK every year skyrockets in the festive season as people exchange gifts, so if you’ve got gift bags and old wrapping paper left over, consider reusing them for another occasion. “You can recycle your paper-style wrapping paper in your blue bin, while foil and fabric wrapping paper should go in your grey bin along with all your ribbons and bows. Renfrewshire’s recycling performance has improved by more than 10 percent over the last seven years to 48.5 per cent in 2016. Haining Road, Renfrew PA4 0AJ (Open daily from 8am – 7.45pm, except Friday 9am – 6.45pm).